In Cambodia, cassava is mostly grown with little or no fertilizer inputs, but the magnitudes of nutrient balances are not known. 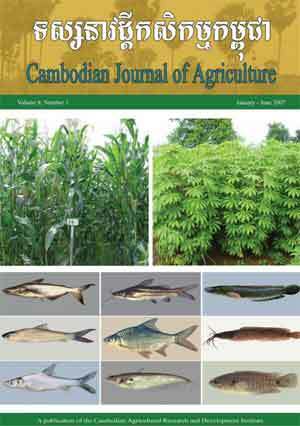 This study was conducted to assess nutrient balances for cassava cultivation in Kampong Cham province in Northeast Cambodia. 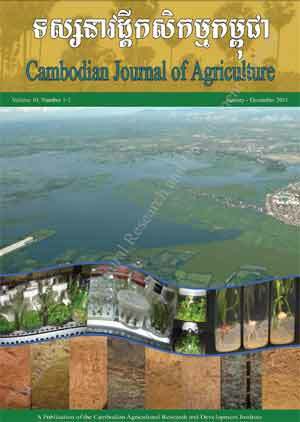 Forty-five households in four cassava production zones were interviewed in relation to their cultural practices and crop residue management, upon which sources of nutrient inputs and outputs were based. Chemical fertilizer, manure, planting materials and rainfall were the defined inputs, while cassava roots and stumps were the outputs. Crop cutting was undertaken in the cassava fields of the 45 households to obtain weights of roots and other plant parts. Nutrient balances were calculated for the individual fields based on nutrient contents of the component sources obtained from the literatures. The results showed negative balances for all the nutrients evaluated. The imbalances were most serious for N, K and Ca with the averages of -64.45 kg N, -52.83 kg K and -10.83 kg Ca ha-1, but were less serious for P and Mg with the averages of -2.85 kg P and -7.20 kg Mg ha-1. These negative balances were the consequence of low nutrient inputs in current practices where only a few farmers applied low rates of chemical fertilizer or manure. 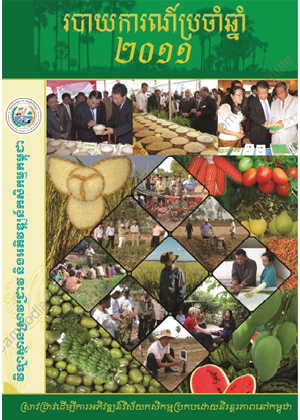 Continued use of current practices will threaten the sustainability of cassava production in Cambodia. For long term productivity of the crop, the application of organic manures together with lime and chemical fertilizers high in N and K is recommended. 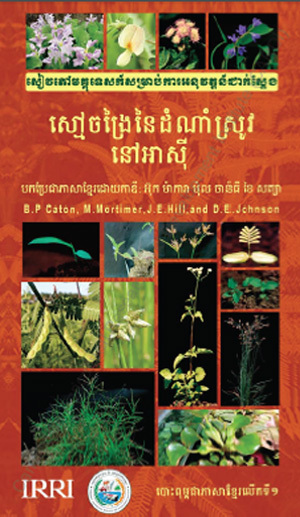 Soil nutrients; Agricultural sustainability; Soil fertility management; Cassava fertilization; Long-term productivity.